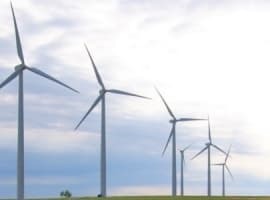 The International Energy Agency (IEA) says overall investment in renewable energy will continue to grow through 2020, but at a slower rate than it has in recent years. The IEA’s annual Medium-Term Renewable Energy Market Report for 2014, issued Aug. 28, anticipated investment in biomass, wind and solar energy will total $1.61 trillion through the end of the current decade, even as the rate of investment begins to lag. The report says funding for clean energy reached a peak of $280 billion in 2011 and was still a generous $250 billion in 2013. But that is expected to decline to an average of $230 billion a year at least until 2020. Part of the reason is the continuing cost of technology and resistance by governments around the world to pass laws that make such investments more attractive. 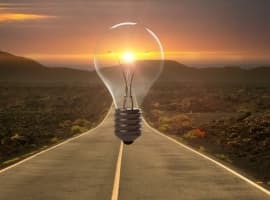 The IEA, the Paris-based energy adviser to 29 nations, said about 22 percent of electricity around the world today is generated by renewable energy sources. That rate will rise to about 26 percent by 2020 and could be even greater if governments worked harder to encourage private funding. As examples, the report cited China, which is not only the world’s biggest market for solar energy but also its chief emitter of greenhouse gases. The IEA said Beijing isn’t spending enough on electricity networks based on clean generators, and isn't working hard enough to make financing easier and less expensive. 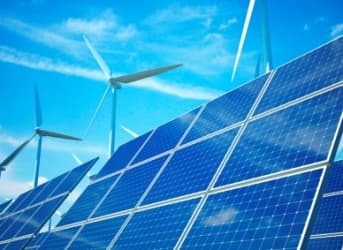 Europe, too, is stumbling, the report said; Investors there are uncertain about the EU’s policy on renewables after 2020 and whether it will push for the installation of an electrical grid for the entire continent to make it easier to integrate power plants that generate clean energy. For example, the current rate of growth in installing new solar and wind farms, while robust, may not be enough to meet targets for climate protection. This has prompted lobbyists for renewable energy to press the EU to adopt stricter, mandatory targets. 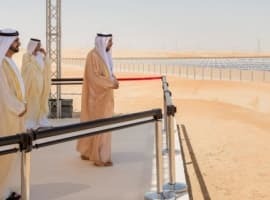 IEA Executive Director Maria van der Hoeven says the source of this sluggishness is the reluctance of governments to recognize that spending on clean energy is valuable to them.